At first, I thought they could be called bangs. So what's the correct way of calling this part of the hair? If there isn't a specific term, what would be the most natural way to call them? Her __ curved inward, cradling her cheeks. 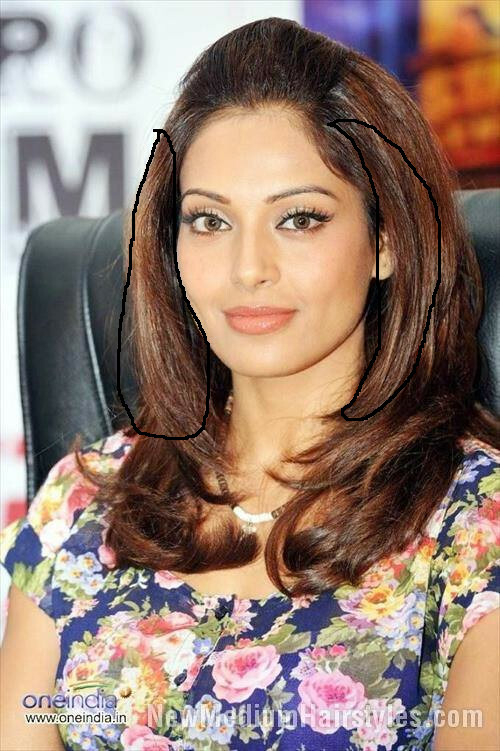 The specific portion which you are pointing out of Bipasa Basu is informally called flick(s) (informally). If the flick is on one side, then you say side flick. Flick is also a noun: e.g....a flick of a paintbrush. Dreamweaver poetry With a flick of hair over her eyes, She carves intently a mysterious art. Like a song following the rhythm, Fireflies move around her heart. She drives her imagination , Beyond the scope of my senses. It's a gift of the grace, To build without fences. He has a chubby hairless face, generally squinted eyes and black hair that is neatly combed and parted to each side with a flick of hair sprouting from the top. Not the answer you're looking for? Browse other questions tagged word-request american-english british-english terminology indian-english or ask your own question. What do you call the “collars” of a bathrobe? What is a mother in her term of breastfeeding called in English? What do you call the sides of the bench-like seats in subway trains?